Learn About Mayacamas Gluten-Free Sauces and Seasonings. Mayacamas Gluten-Free Sauces and Seasonings. Just because you’re celiac, or simply wish to remove gluten from your diet, doesn’t mean you can’t enjoy the rich sauces that elevate meals to a whole new level. The most effective diets don’t require you to eat dry food with a cracker-like quality. It’s about finding the right ingredients to make your dietary requirements easy to adhere to. Mayacamas is a gourmet food company that produces gluten-free products in scenic Sonoma Valley. They’ve brought to market a line of sauce mixes and a taco seasoning mix that are perfect for those suffering from the auto-immune disorder, celiac, or for those looking to reduce their gluten intake to lose weight. By reading this post you will be introduced to a delicious line of sauces that will make it easier to prepare some of your favourite meals. The beauty of Mayacamas is that their products help you stick to a gluten-free diet with more ease. Let’s look at what makes these sauce and seasoning mixes so sought after, and some amazing recipes you can treat yourself and your loved ones to. For over four decades, Mayacamas has been a family business producing pasta sauces, gravies and seasoning mixes that are delicious, savoury and contain substantial health properties. With no hydrogenated oils or trans fats, Mayacamas makes vegetarian sauces that taste gourmet. 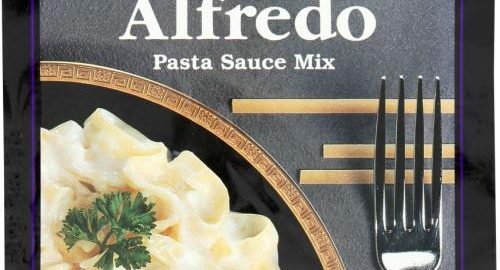 Mayacamas Alfredo Sauce Mix is the perfect accompaniment for your creamy fettuccine. It can punch up more than your pasta, though. It freshens up classic fish, poultry and even red meat recipes. If you enjoy upscale sauces but are intimidated by the time and finesse it takes to make them, then try this béarnaise. This silky sauce made of clarified butter emulsified with vinegar and egg yolks is a staple of French cuisine. It tastes of shallots, chervil, peppercorns and tarragon, and is wonderful on vegetables or a perfectly cooked steak. For people who enjoy herb-based sauces on their pasta and chicken, we recommend Mayacamas Creamy Pesto Sauce Mix. With an intense and salty basil flavour, this sauce mix will reinvigorate boring old pasta night. Demi-glace is one of the richest and heartiest sauces in culinary history. This thick brown sauce is a popular base or glaze. Usually, to create a demi-glace you need shallots, red wine, beef stock, thyme, parsley, butter, flour, peppercorns and a bay leaf. Now, all you need is one sauce mix and no one will be able to tell the difference. This sauce should be invited to every holiday meal and is perfect for any cut of meat from striploin to pricier filet mignons. Hollandaise is the mother of all mother sauces. It’s elegant and buttery and makes ordinary mains and sides so much better. Place a dollop on top of a poached egg that’s begging to break open and run and you will have the best brunch of your life. Or spoon some over asparagus or green beans to elevate traditional sides that most consider to be boring. Mushroom Sauce is another brown sauce that uses earthy mushrooms as its base and main ingredient. It’s delicious on meat, poultry or simply on a bed of noodles. With a hint of black pepper, onion and garlic, Mayacamas Mushroom Sauce Mix even pairs well with certain fishes or on a bed of noodles. Few sauces can do for food what gravy has done for centuries. Mayacamas has a vegetarian gravy mix that is tasty and can replace all the other basic gravy recipes you’ve tried over the years. It’s easy to make and will please traditionalists. We also carry vegetarian gravy mix for chicken, turkey and savoury herb. Mayacamas makes a succulent white cheddar sauce mix. Add this sauce to macaroni, rigatoni or penne to enjoy a cheesy lunch or dinner with a creamy texture. A truly handy sauce to have around when your kids are starving. If you can believe it, Mayacamas also has a popular taco seasoning that is made from chili pepper, oregano, cumin and red pepper for an authentic taste. It’s been called the best taco seasoning on the market and it’s gluten-free! Mayacamas sauce mixes contains 12 ounces of sauce for you to savour. They are versatile and will impress every guest while making every meal memorable. And to think all you need is one packet, five minutes and a little milk and butter. A recipe is included on every Mayacamas sauce package. The idea is to help you create memorable and delicious meals for lunch and dinner using these wonderful gluten-free sauce mixes. Here are some of our favourite recipes that utilize and are elevated by a Mayacamas sauce mix. Whatever recipe you choose to make be sure to keep your carb intake in mind. Purchase a beef tenderloin from your grocery store or butcher. Make sure it is dry and rub it with rosemary, salt and pepper—don’t be shy. Cook on your stove top to desired doneness, basting with butter. You can sear on each side for one minute either before or after cooking. Drizzle the cooked Mayacamas demi-glace over the top and place the rest in a bowl to make sure you don’t run out before you finish eating. If you have a slow cooker, try this low carb beef tenderloin recipe. We love this asparagus recipe. Take a pound of asparagus and trim the ends off. Spread on a roasting pan (make sure they are evenly spread, not clumped together). Pour one tablespoon of olive oil and sprinkle with salt. You can add some fresh lemon if you want as it pairs well with hollandaise. Roast the asparagus for 10 minutes, shaking the pan at the five-minute mark. Transfer to a plate and spoon Mayacamas’ Hollandaise generously over the top. Your perfectly cooked asparagus will taste a lot better covered in a thick, buttery sauce. Traditional macaroni and cheese recipes call for a cheese sauce built on a base of a roux (flour and fat cooked together). With Mayacamas, you can remove the most labour-intensive step and retain the classical cheesy flavour of this household favourite. By using gluten-free pasta and the Mayacamas White Cheddar Sauce Mix, anyone can enjoy the best mac and cheese around. We love carrying products that are not only delicious and low carb but are also easy to make. The idea is to simplify dinner time and not have people resorting to high carb dinners because it’s more convenient. Our customers love Mayacamas line of sauce mixes. Be sure to include Mayacamas in all your brunch, lunch and dinner meal planning. This line ensures that your sauce needs will be met so all you must do is focus on the protein and side. Remember, a sauce is a component that can make or break your meal. Keep a variety of these sauce mixes on hand, and you’ll be ready to go no matter if it’s steak night, fish night or macaroni and cheese night. If you’re staying in to eat, Mayacamas can help make your meal a rousing success!